The Sith Shrine is the newest, hottest content on Empire in Flames. Set in a Sith temple buried deep on Coruscant, adventurers are asked to investigate…in spite of the disappearance of previous teams. Up to five players can venture into the Shrine to confront danger and potentially emerge with previously-unacquirable loot! The Sith Shrine starts by speaking with a very grumpy Dug in a diner in the Collective Commerce sector on Coruscant. 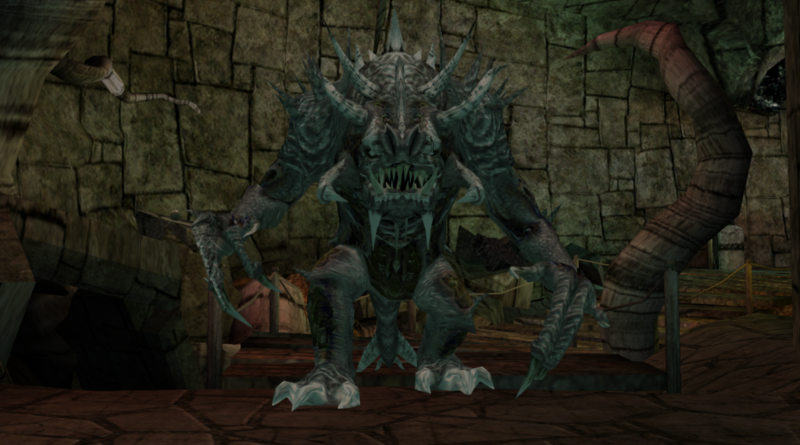 Ultimately, there are six boss encounters along the way, though two of them are relatively easy. Players should be prepared in advance with equipment, food, and drink. Some suggestions are included. The server team has run the Shrine with multiple groups and found, in general, the best groups include a main tank, an off tank, and at least one doctor. Remaining roles have been filled with a variety of classes and skill setups with varying degrees of success. Every player should be equipped with a suit of armor, PSG, and at minimum a very good weapon. Doctor and entertainer buffs are highly recommended; in event of a wipe mid-instance, at minimum the tank characters should be re-buffed with doctor buffs. Suggested food and drinks are included in boss fights tips. Players should be familiar with their specials – even basic DPS players should be using several. Boss characters should always be stated with as many states as possible. Intimidation is the most important, as it reduces damage output from NPCs. Bleeds and burns are also important on high-health bosses, as those cause boss characters to rack up battle fatigue, which reduces the effectiveness of their armor. The Dark Trooper is your first boss, a massive war machine left in place by the Shrine’s master. He is completely stationary, but has a nasty rotating cannon he uses at range and is a powerful melee fighter in close. During the fight, he occasionally spawns four astromech droids around the room. If those droids are not destroyed, they will repair any damage the Dark Trooper takes during the fight. 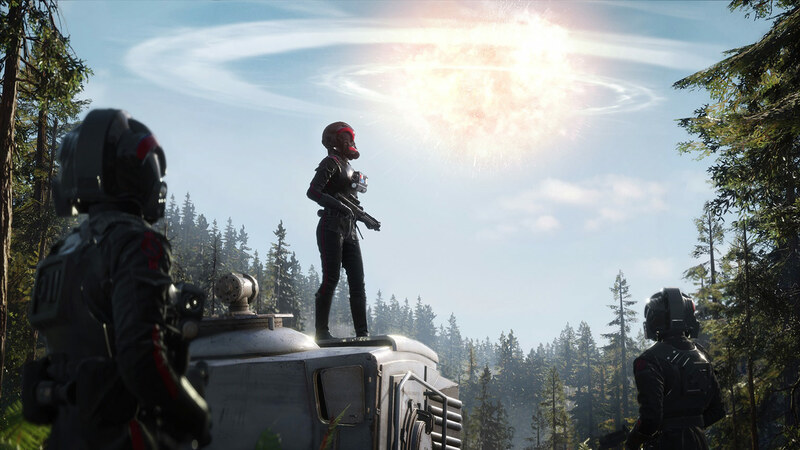 If the astromechs are not suppressed, the fight will take a long, long time. Primary tactics: Tanks fight the Dark Trooper directly. Doctor focuses primarily on heals, with secondary focus on shooting astromechs. Remaining players focus on droids the moment they spawn and offer DPS on the Dark Trooper when droids are all down. 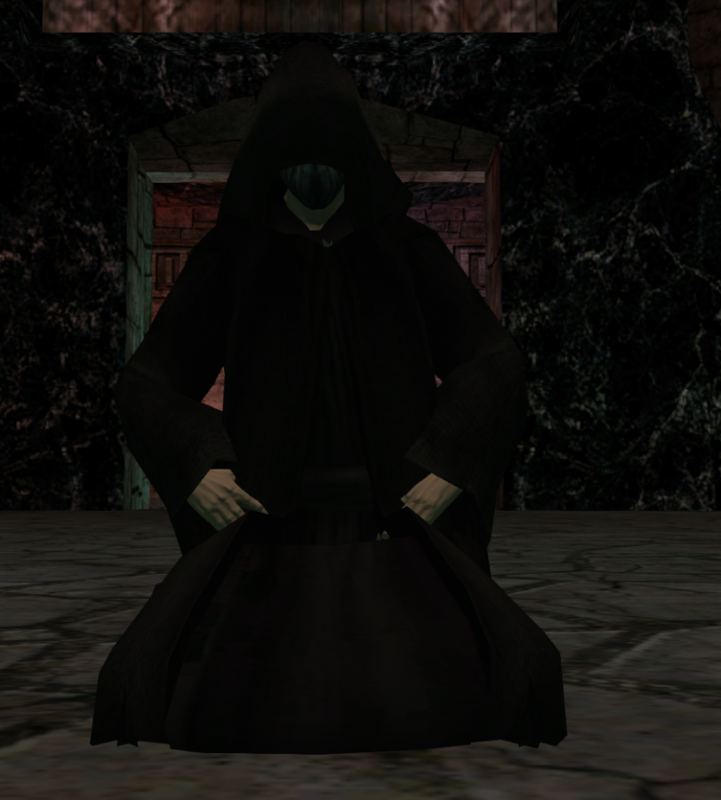 The Terentatek is a creature of the dark side, twisted into being by devotees of the Sith. They are ugly, hungry beasts who seek out and destroy Jedi. However, a well-armed group of adventurers should be adequate to the task. Primary tactics: tank and spank. Keep ranged fighters well back to prevent them from being caught by the terentatek’s massive AOE knockdown. Known exclusive loot: Various zombie paintings. 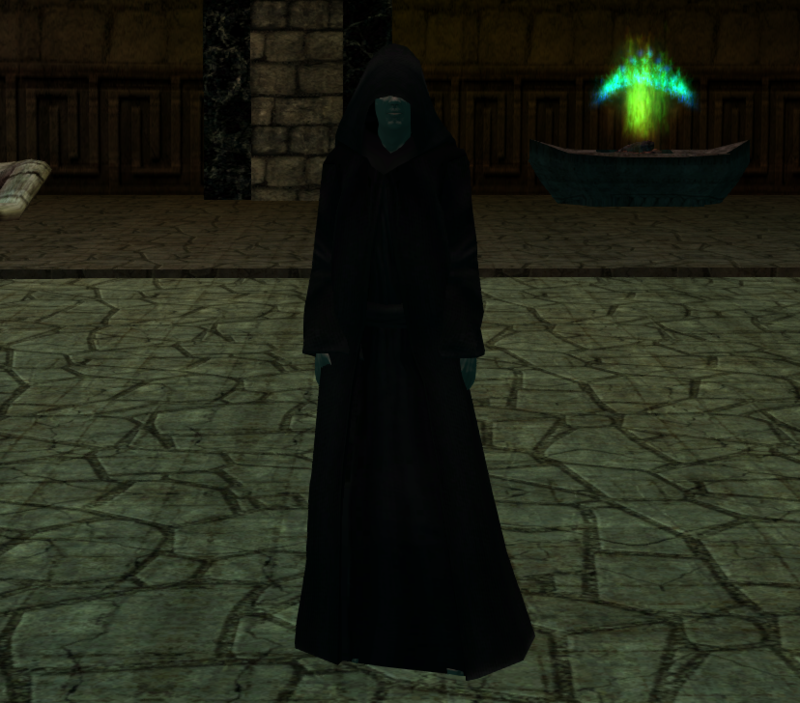 A devotee of the dark side, the Sorcerer has delved deeply into unnatural abilities. He will call upon the shadow of the Force to attack adventurers with lightning and telekinetic abilities, but most disturbingly, he will raise an army of undead to fight on his behalf. Worse, if these undead are struck down, he draws strength from the destruction, regenerating health with each of his minions struck down! Primary tactics: One tank focuses on the sorcerer. Secondary tank taunts all zombie spawns to keep the focus away from the group. All characters use single-target specials to fight the sorcerer and prevent unexpected deaths of zombies that prolong the fight. Secondary tactic: Ideally, the “zombie magnet” is not a primary or secondary tank. Most ideally, the character is a fencer, as they dodge attacks entirely. Swordsman tend to do poorly in this role, as counterattack secondary defense means the zombies will die during the fight and prolong it. The character in this roll will take a lot of small attacks and likely stack up large amounts of battle fatigue and take reduced heals, which is detrimental during the Sun Guard fight. 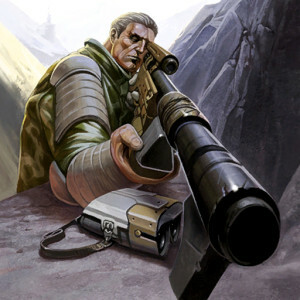 Players have already fought a Terentatek once; exercise those tactics again, and this Sithspawn will not be a problem. Sith cultists or loyal mercenaries, depending on the source, the Sun Guard is one of the most feared mercenary groups in the galaxy…and for good cause. In battle, the Sun Guard will fight exclusively melee with force pikes with a full range of deadly polearm attacks. They also fight as a unit, and will heal each other periodically in combat. Success against previous bosses is no guarantee of victory here; many have died at their hands. Primary tactics: Main and secondary tanks each take a Sun Guard and draw them to the back wall. Doctor focuses exclusively on healing from the front wall, which should be just out of reach of the Sun Guards’ AOE attacks. Non-melee characters also cluster against the front wall to keep doctor healing requirements at a minimum. Secondary tactics: The Sun Guards will periodically compare HAM, wounds, and battle fatigue; when they do, each Sun Guard reverts to the higher level of each. As such, they must be brought down together rather than focusing one and then the other. While stating is important in all boss fights, during the Sun Guard fight it is critical as a non-intimidated Sun Guard can quickly put down a tank. Ideally, a fencer should not tank a Sun Guard. While it is possible, fencer’s low toughness means he will rack up damage faster than other melee classes and put more pressure on the doctor to keep up. It’s important for players focusing on burns and bleeds to switch targets constantly to lay a consistent level of bleeding and burning on each boss, or much of their effort will go to waste. Players must keep a very close eye on food and drink during this fight; failure to do so may result in party wipe. It’s also worthwhile for tanks with meditate to power boost before this fight. There are always two Sith Lords – a master and an apprentice. However, there are initiates, candidates, and others who have pursued the dark arts but not risen to the rank of Apprentice. The Sith Initiate will not fight players alone, but with three telekinetically controlled floating lightsabers! Primary tactics: Area attacks are king. Draw the floating lightsabers in and use area attacks to bring them down along with the Initiate. Secondary tactics: Keep an eye on the initial spawn of lightsabers. They have a tendency to all pick a single player and focus on him. If that player is the primary healer or a ranged character and isn’t ready, they could rapidly be killed. Once past the initial spawn stage, the fight tends to be much easier than the Sun Guard battle. Burns and bleeds can bring the initiate down much faster than strictly DPS. Suggested food and drink: Pour on everything for this fight – it’s your last, so don’t let your stomach space go to waste! EiF brings you a player’s perspective’s on EiF’s combat system. This post isn’t fully fact checked. Thank you Pizza the Hutt! 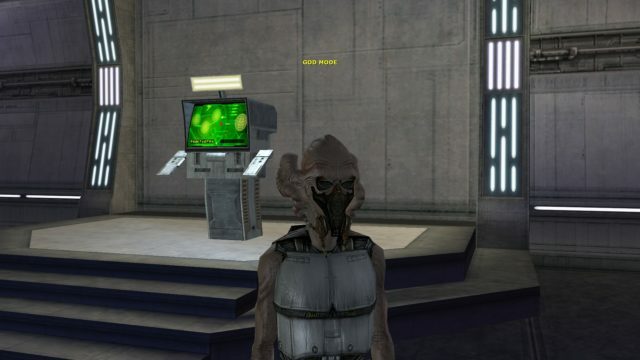 You are one of my all time favorite Hutts! Enjoy! 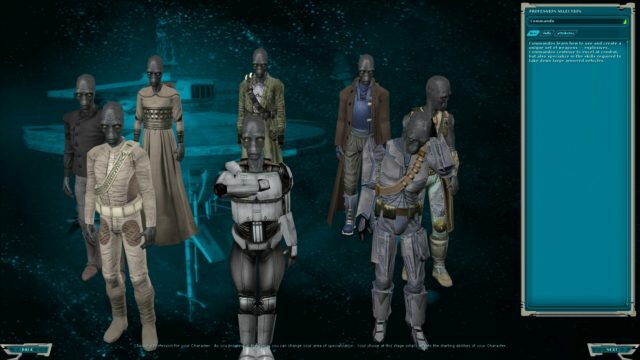 The combat in Star Wars Galaxies has gone through multiple iterations and changes in its lifetime. Empire in Flames is another such iteration aiming to improve upon some of the inadequacies of the original game in a fashion that differs from the Combat Upgrade (and the subsequent game-changing overhaul that was the NGE). While the fundamental mechanics of “Pre-CU” combat still stand, there have been numerous tweaks and changes to encourage a diversity of builds that was sorely lacking in the original game. These modifications to the base emulator take the form of adjustments to stat allocations for each profession, ability changes ranging from minor adjustments of multipliers to new behaviors, and some tinkering to the engine to make combat much more intuitive and interesting. 1. Weapon type – This one is the most obvious. A pistol, a carbine, a sword, et cetera. These weapons have their corresponding abilities in their respective professions but here at Empire in Flames we have some special-case scenarios! If you’re a Bounty Hunter, or a Smuggler, your weapon skills are “weapon agnostic” which means you can use these abilities with any weapon equipped! 2. 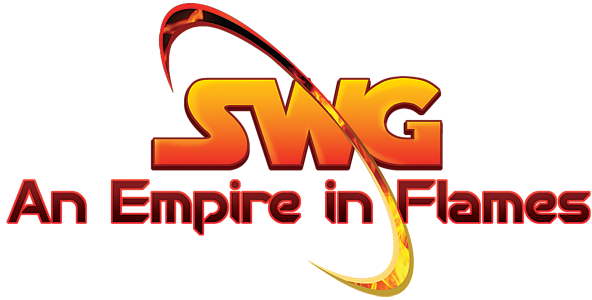 Damage type – All incoming and outgoing damage in SWG is “typed” and is compared against a variety of resistances. Not all guns do energy damage, and not all melee weapons will do kinetic. To ensure maximum effectiveness, examine your target (in the case of PvE) to see your opponents’ resistances and equip yourself accordingly! 3. Armor Piercing – This is a stat you’ll see on all weapons but you can completely ignore this as Empire in Flames removed Armor Levels from all damage equations! 4. Attack speed – This is the base delay for your attacks (in seconds). The CDEF Pistol that you start with, for example, has a speed of 3. Without any skills, you will auto-attack every 3 seconds. But all weapon-specific professions come with a speed stat boost that modifies this value as a percentage. More on this later! 5. Damage range – Minimum and maximum damage is self-explanatory. 6. Wound chance – Whenever an attack lands, it has a chance to impart a wound to a specific HAM pool. While higher percentages are better, the actual effect is rather small. 7. Range modifiers – Ok, so this one might not be super clear as to how exactly it works but it is simply a +/- modification to your attack’s accuracy. Ideally you want to be at the ideal (hehe) range but in most cases you can get away with any spot that’s not a massive penalty (like the -120 @ 64 meters on the starter CDEF pistol). 8. Special Attack Cost – These are the base values for the consumption of your HAM pools when you use special attacks. Each special attack has a multiplier that can leave you with an empty action pool in the case of high special costs on your weapons. Counterattack, Defense vs. Blind, Defense vs Dizzy, Defense vs Intimidate, Defense vs Stun, Melee Defense, Ranged Defense, Two-handed Melee Accuracy, Two-handed melee Center of Being [duration], Two-handed Melee Center of Being Efficacy, Two-handed Melee Speed, and Two-handed Melee Toughness… whew! That’s a lot of stats! It might be a bit overwhelming, but they’re very straightforward once you get the hang of it! Counterattack is one of the three “secondary” defense skills, alongside Dodge, and Block. The way these work is that upon receiving a “successful” attack, you have a chance to react to the incoming damage with these skills. Counterattack allows you to make a free basic attack against your opponent. Dodge always you to sidestep the incoming damage entirely. Block reduces the incoming damage by 75% and has the added bonus on Empire in Flames of making a second block attempt if the first one fails. These three defense skills are limited to their respective weapons – Counterattack for Carbineer and Swordsman, Dodge for Pistoleer and Fencer, Block for Rifleman and Pikeman. Note: Heavy Weapons are considered as Rifles by the game and allow you to make use of Block when wielding the Commando’s arsenal. Teras Kasi Artists have a special defense stat called Defensive Acuity which allows you to react to incoming damage with either Counterattack, Dodge, or Block. Defense vs [XXXXXX] – These are stats that are generally referred to as “State Defense”. Certain abilities have the benefit of attempting to apply a variety of these states and that is compared against your state defense to determine whether or not it is successfully applied. You’re probably curious as to how these states affect you or your target – here’s the hot-skinny. Dizzy – When dizzied, posture changes can cause you to be knocked down. Stun – Reduces outgoing damage by 10% and lowers Primary Defense (more on what that is in a bit). Blind – Reduces accuracy. Posture change (up/down) – This causes the receiving party to change their posture (standing, kneeling, or prone). Coupled with dizzy, this has the chance to knockdown. Next on the list is Ranged/Melee Defense – These are your so-called primary defenses which is what your accuracy is compared against when attempting to hit something. These primary defenses reduce the likelihood of being hit by most, if not all, attacks. Accuracy – This makes your attacks more likely to be successful. Center of Being – Duration and Efficacy are modifiers to the Center of Being skill (which has just received some interesting changes from Anishor). Duration is in seconds, and the efficacy now functions by way of reducing the players outgoing damage by 25% and increasing their toughness by [Efficacy / 3]. Weapon Speed – This is a percentage modifier to your weapon’s attack speed before ability multipliers. It caps out at +75 which translates to 75% * attack speed (or 1/4 of your weapons attack speed as your effective attack speed). And finally we have Toughness – This is a flat percentage reduction on incoming damage. It makes you “tankier”. In addition to all of the above, an important consideration (especially for PvP) is the Ranged and Melee Mitigation skills that come with the combat professions. The way this works is it reduces the damage range of the attacker’s weapon making it less likely for you to receive random “big hits”. Ranged Mitigation applies to incoming ranged attacks, and Melee Mitigation applies to incoming melee attacks. Now that we have all that out of the way you might be wondering “What the hell do all these abilities do? !” because the tooltips may not accurately reflect what is actually happening. Each special attack ability has a damage multiplier, and an attack delay modifier. Some attacks have a specific pool they target, while others will hit a random pool. Some attacks might even apply a state. Unfortunately due to the changes made by the Empire in Flames team, I don’t have access to the definitive numbers, or what abilities apply what states, but I can give a “broad-strokes” answer regarding the ability choices available. Higher tiered attacks will generally do more damage, with a higher special ability cost, and a larger attack delay. This means you have the luxury of tailoring your attacks based on your playstyle! Like hitting hard, but maybe not so often? Use the higher tiered attacks! Want to spam specials, as much as possible, or slip in a few extras while your action or mind pool is low? The lower tier specials will fit that niche. Every special has a trade-off which makes using something like SpinAttack1 useful even when you have AreaAttack3. That’s all for now! I hope it answers more questions than it creates. Happy hunting and May the Force Be With You! With Love, Pizza The Hutt. 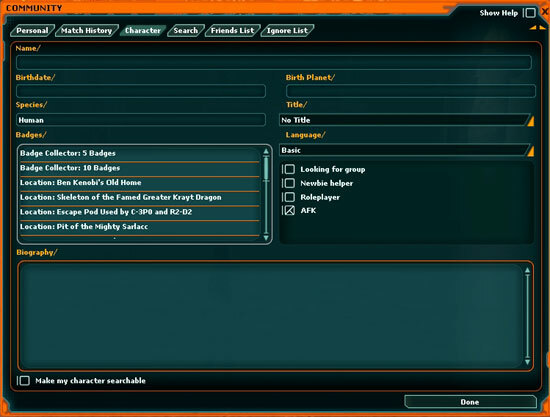 One of the fun features of Star Wars Galaxies is the Badges which can be earned. Blue Pyros and Kelta updated the list of badges to make it current for EiF. I pulled the initial information from here. My guild likes to do activities as a group and on a few occasions we’ve gone out and worked on the Exploration badges for a particular planet. Badge hunting is a great group activity. It’s also a wonderful way to scout for RP locations while racking up those badges! Ohhh! While editing and formatting this information, I realized the badges from Taanab are not here! I’m not going to list them now, but I challenge you to go out to Taanab, find them, and post them here! A. Badges are essentially just lines of text that appear in your Character Information Sheet(Ctrl+C, and Ctrl+P (this might be different, depending on keybindings)). Badges are earned by doing various tasks in EiF. These tasks can be as simple as visiting a location, or as challenging as fighting through one of the toughest dungeons in the game. Q. Is EiF going to add anymore badges, or is this it? A. Of COURSE they’re going to add new badges! How to: These Badges are received after claiming a certain number of other badges. These badges are cumulative. That is, Your Badge Collector: 5 Badges will count towards your total to getting your Badge Collector: 10 Badges badge. How to: These Badges are claimed simply by visiting certain special locales. 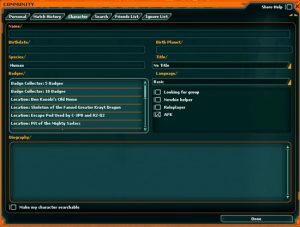 AudioOrgana has put together this wonderful guide, which details all the Points of Interest in the game that will grant you badges. …has visited Ben Kenobi’s old home. …has visited the pool underneath Fort Tusken. …has visited the famed Krayt Dragon skeleton. …has visited the escape pod used by C-3PO and R2-D2. …has visited the home of the mighty Sarlacc. …has found the Lars Homestead on Tatooine. …has found the hidden Krayt Dragon Graveyard. …has discovered the hidden Gungan Sacred Place. …has explored the depths of the Agrilat Crystal Swamp. …has encountered the mysterious Palace of the Woolamander on Yavin 4. …has discovered the ancient Temple of the Blueleaf cluster. …has visited the Temple of Exar K’un. …has climbed to the top of “Adi’s Rest”. …has explored the horrid tar pits of Dathomir. …has discovered the lesser Sarlacc on Dathomir. …has found a mysterious escape pod crash-landed on Dathomir. …has climbed to the peak of the Lesser Misty Falls region. …has reached the Greater Misty Falls Peak. 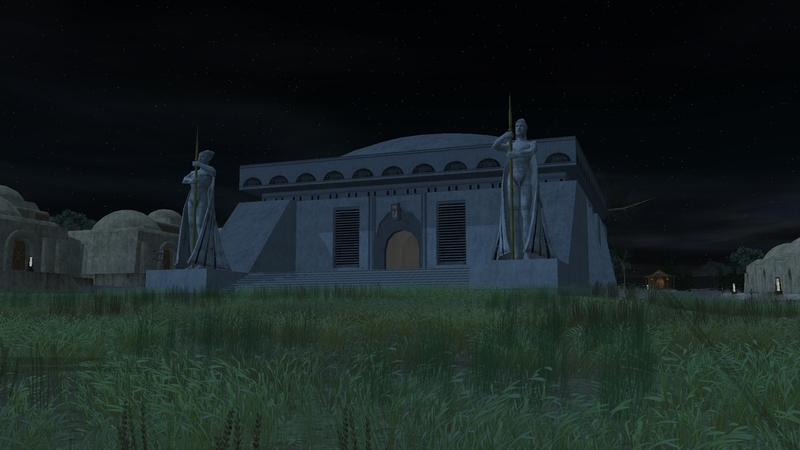 …has uncovered the mysteries of the Ruined Jedi Temple on Dantooine. …has visited the abandoned Rebel Base on Dantooine. …has seen the majestic falls of Theed. …has visited the stately falls of Dee’ja Peak. …has visited Amidala’s Private Beach. …has seen the Rebel Hideout on Corellia. …has seen the Rogue Corsec Base on Corellia. …has visited the famous outdoor theater on Vreni Island. …has seen the magnificent crystal fountain at Bela Vistal. …found a wrecked starship on Dathomir. …seen the dreaded Imperial Prison on Dathomir. …has visited a Dantari Rock Village. …has visited an Ewok Tree Village. …has visited an Ewok Lake Village. …has seen a Dulok Village. …has found a Marauder base on Endor. …has seen the lost village of Durbin on Talus. …has seen an Imperial Base on Talus. 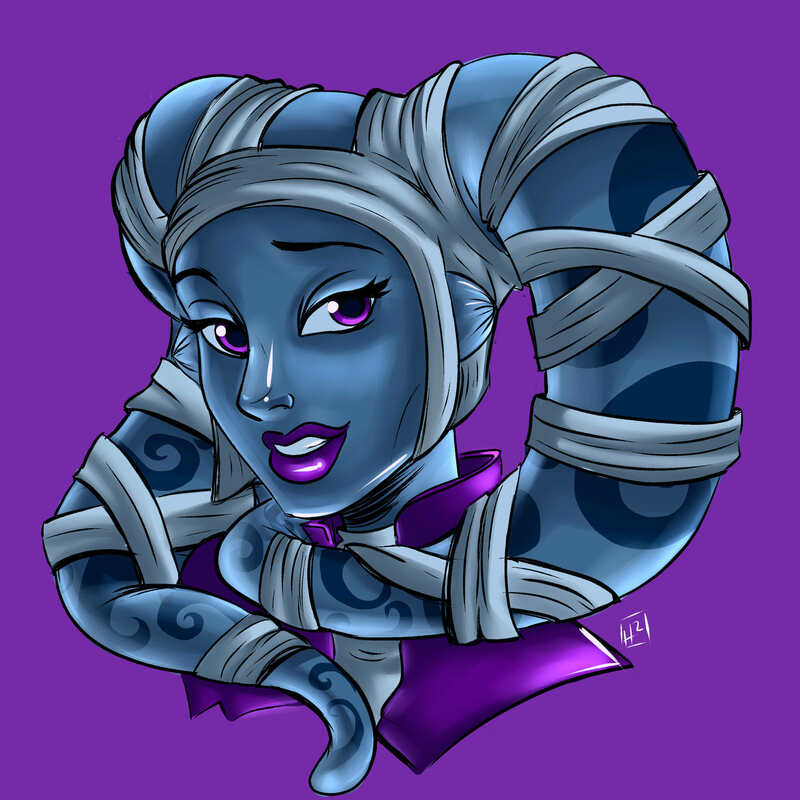 …has observed a battle between Rebel and Imperial Forces on Talus. …has seen a cave populated by Aqualish soldiers on Talus. …has seen the fabled Kobola Spice Mines on Rori. …has seen a Rebel Outpost on Rori. …has seen an Imperial encampment on Rori. 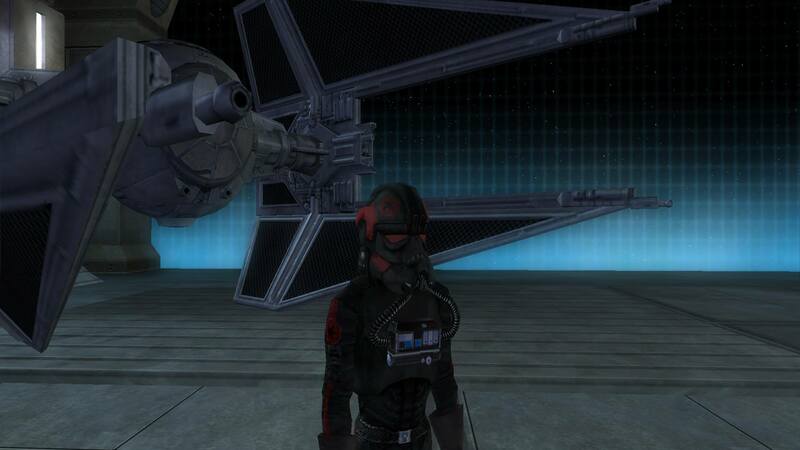 …has found the Imperial Hyperdrive Research Facility on Rori. …has found an Imperial base on Lok. 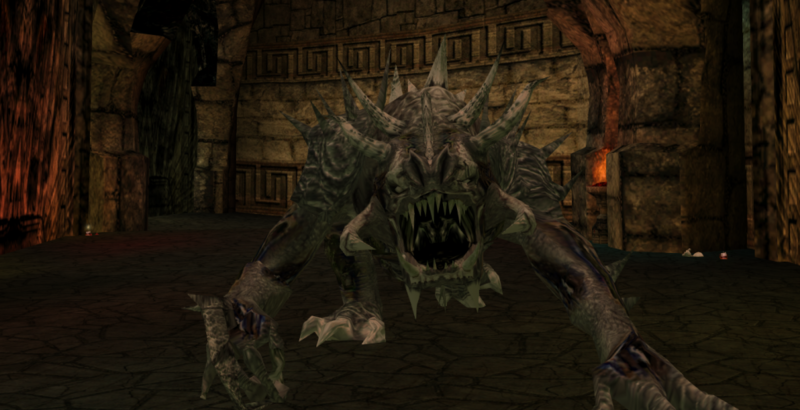 …has found a Kimogila skeleton on Lok. How to: These Badges are like the Badge Collector badges, but only count the Exploration badges. These Badges are not cumulative. That is, Novice Explorer: 10 Exploration Badges will not count towards the Journeyman Explorer: 20 Exploration Badges badge. …has earned 10 Exploration Badges. …has earned 20 Exploration Badges. …has earned 30 Exploration Badges. …has earned 40 Exploration Badges. …has earned 45 Exploration Badges. How to: These badges are received when you master any profession. …has mastered the Fencer profession. …has mastered the Swordsman Profession. …has mastered the Bounty Hunter Profession. …has mastered the Carbineer Profession. …has mastered the Commando Profession. …has mastered the Pistoleer Profession. …has mastered the Pikeman Profession. …has mastered the Rifleman Profession. …has mastered the Smuggler Profession. …has mastered the Teras Kasi Profession. …has mastered the Architect Profession. …has mastered the Armorsmith Profession. …has mastered the Artisan Profession. …has mastered the Chef Profession. …has mastered the Droid Engineer Profession. …has mastered the Merchant Profession. …has mastered the Tailor Profession. …has mastered the Weaponsmith Profession. …has mastered the Bio-Engineer Profession. …has mastered the Creature Handler Profession. …has mastered the Ranger Profession. …has mastered the Squad Leader Profession. …has mastered the Doctor Profession. …has mastered the Medic Profession. …has mastered the Dancer Profession. …has mastered the Entertainer Profession. …has mastered the Image Designer Profession. …has mastered the Musician Profession. …has mastered the Politician Profession. How to: In the Royal Palace in Theed the Trivial Librarian awaits the explorer. She will ask a series of questions which the explorer must answer them. There is no limit to the number of tries, so don’t worry about getting any questions wrong. …answered all the trivia questions posed by the Theed Palace Librarian. 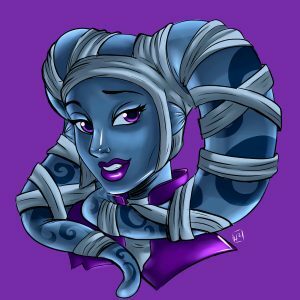 How to: There are various races around the galaxy. Beat the current record holder, and you’ve got yourself a badge. …has held the daily record on the Agrilat Swamp race track. …has held the daily record on the Keren City race track. …has held the daily record on the Mos Espa race track. …has held the daily record on the Narmle City race track. …has held the daily record on the Nashal River race track. …has held the daily record on the Lok Marathon race track. How to: This is a series of quests, which can take quite some time to complete. …bears the Mark of Courage. …bears the Mark of Honor. …bears the Mark of Intellect. …bears the Mark of Altruism. …bears the Mark of the Hero. …showed great compassion toward the widow of an Imperial worker. …proved Colonel Teraud’s perfidy and rendered great services to the Empire!